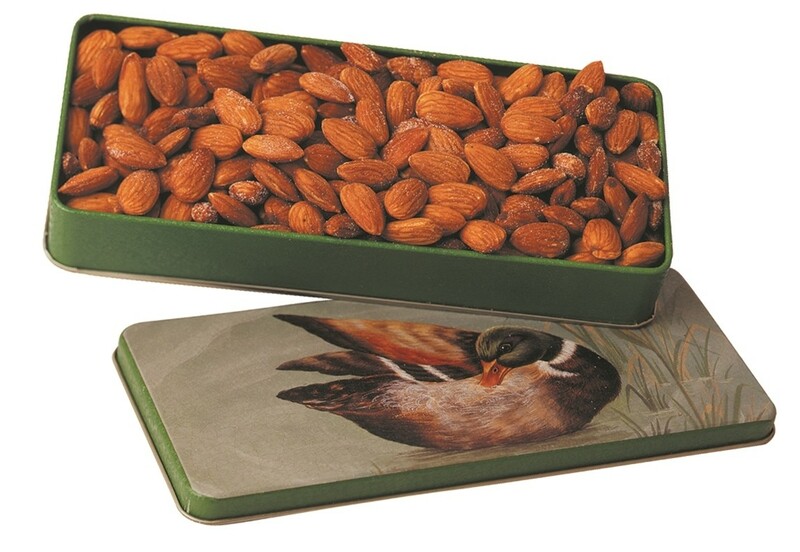 This traditional tin holds a pound and a quarter of the finest roasted nonpareil almonds from one of the best orchards in the world. We slowly basket these almond to a light golden color in a very special process and then we lightly salt them to a perfect taste. 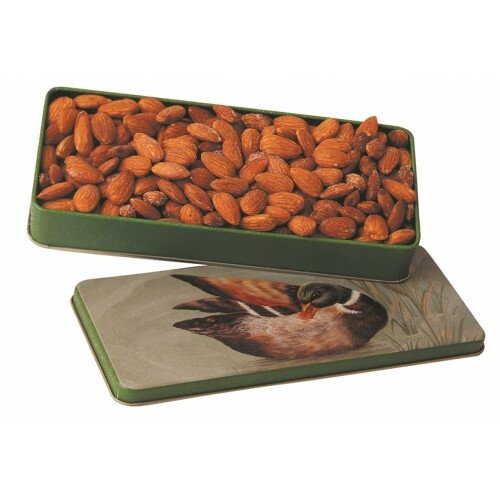 After they cool we package them in a very decorative lithographed gift tin called Mallard Duck. We ship this excellent gift to very special people in your life. This special fun filled tin make a great father and/or grandfather gift to let them know you care and remember them!